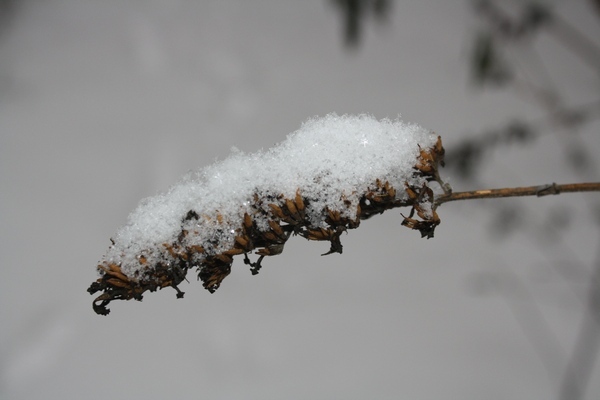 It’s interesting how dried, leftover blooms from last summer look beautiful with a little bit of snow on them. 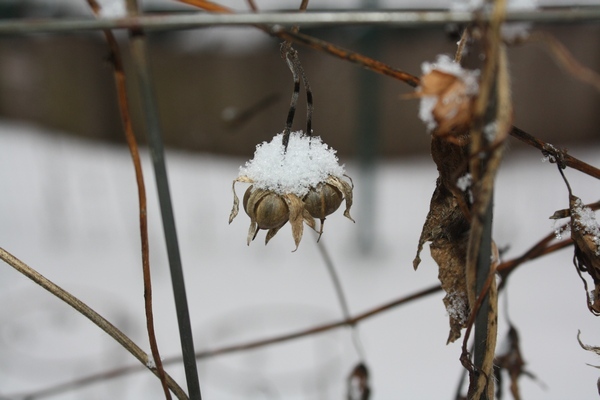 The top picture is a morning glory seed pod and the bottom one is a dried flower from the butterfly bush. I get pleasure from the garden no matter what season it is!